Longtime Lexington residents know the drastic change in weather we’re about to experience. Whereas we’re currently enjoying temperatures hovering around 70 degrees, that won’t be the case for much longer. By December, there will be days where the temperature struggles to reach the mid-40s. Then there’s the snow. While we may not get a ton of it, Lexington typically sees around 13 inches of snowfall. Why is all this information important? Well, now is a critical time for roof maintenance because it protects your home from ice and snow. If you’ve put off roof repairs, now’s the time to get it taken care of to ensure that it lasts a long time. 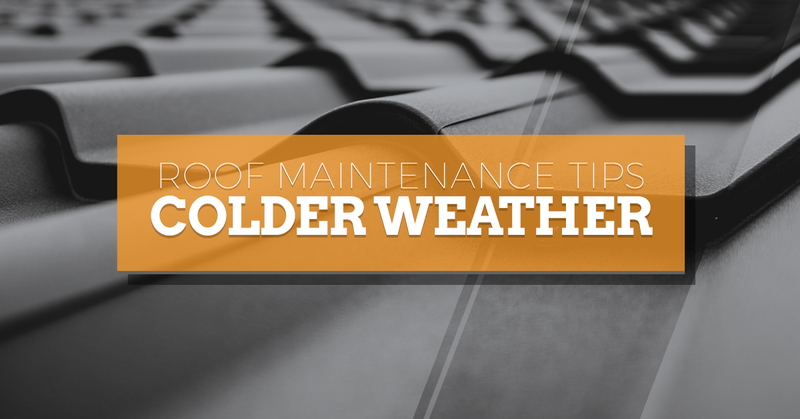 Keep reading for five roof maintenance tips before the cold weather hits the area. Trim back those trees – There’s no denying that fall foliage is beautiful. However, as leaves begin to fall around your home, you will likely see branches getting a little too close to your home. It’s a good idea to trim back the branches now so they don’t cause potential damage down the road. Clean the gutters – This may be one of the most loathed chores among homeowners. But clean gutters are required to keep water flowing properly off the roofline. Note that clogged gutters will splash water back onto the roof, which can lead to cracking and mold. Before the temperatures really drop, clean out your gutters and put your mind at ease. Consider installing gutter guards – Some homeowners dread taking care of their gutters because of how time-consuming the task is. That’s why it’s a good idea to invest in gutter guards. These caps go over the guttering to prevent leaves from falling inside. While water can still get through, large debris such as leaves will dry up and blow away. Call a roofer for an inspection – With snow and ice looming, now’s the time to have roofing contractors handle any repairs. Not to mention, the longer you wait on roof repair service, the more expensive it’s going to be. Invest in roof installation – Not surprisingly, roofing services tend to hold off on installation until the weather warms back up in the spring. So if you’ve been thinking about getting in touch with a local roofer, do so quickly. Remember that it’s always best to head into the cold season with a strong, sturdy roof over your head. Sands Enterprises has completed well over $3 million worth of home restoration and roofing in Columbia and Lexington. From shingles and ventilation systems to fire/water damage restoration, we do it all. What makes us different from the competition? Well, our roof inspections are completed by a licensed insurance adjuster, allowing us to give clients the perspective from the insurance company. Rest assured that we will provide a free, honest damage assessment and then work with you in determining whether to file a claim. So if you want to enjoy a new roof while avoiding the hassles that often come with it, Sands Roofing can help. As if you need more of a reason to trust us, we have an A+ rating with the Better Business Bureau. See what our fully licensed, bonded, and insured team can do for you this fall. Call now to ask about our roofing services.